The rakish Norton Commando epitomizes everything that people love about classic British motorcycles: they’re sporty to ride, handsome to look at, and very involving in both the good and bad meanings implied by that term. 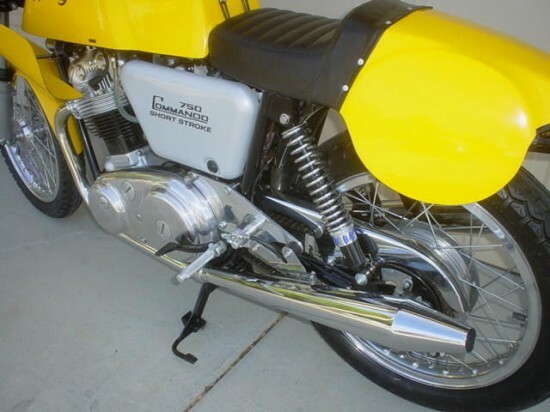 These parallel-twin sportbikes are durable and reward their owners with character and performance, but famously require careful regular attention: weekend tinkering is all part of the experience although, unlike some of the more obscure bikes sometimes featured here, maintenance and performance parts are readily available. Introduced in 1967 and displacing 745cc’s with pre-unit construction that was rather unimpressive in specification, the machine proved to be popular and successful on road, track, and in the press. 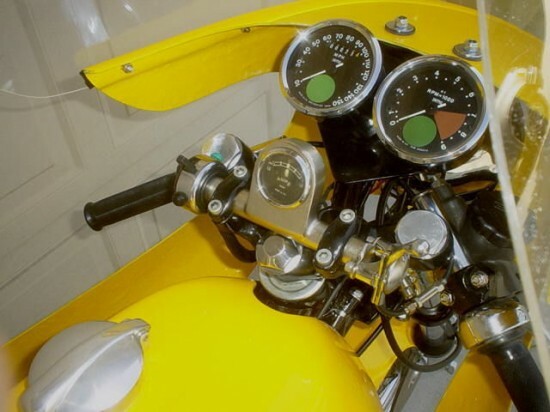 The Commando’s distinctive leaned-over engine was largely an aesthetic change from the earlier version fitted to the Atlas, although Norton also claimed an improved center of gravity and increased space for carburetors and airbox. More revolutionary was the bike’s “Isolastic” frame that used a system of rubber mounts to reduce the significant vibrations of the parallel-twin powerplant. While effective, the system does require careful set up [see above under “weekend tinkering”] for optimum performance: too little movement and you might as well rigidly mount the engine, too much and you get sloppy handling. When properly adjusted, the system gave excellent handling and comfort, but vibrations still plagued the Commando throughout its production run, since everything attached to the engine was still subject to significant stress: all of the tropes about parts vibrating loose, cracking, and falling off apply here. 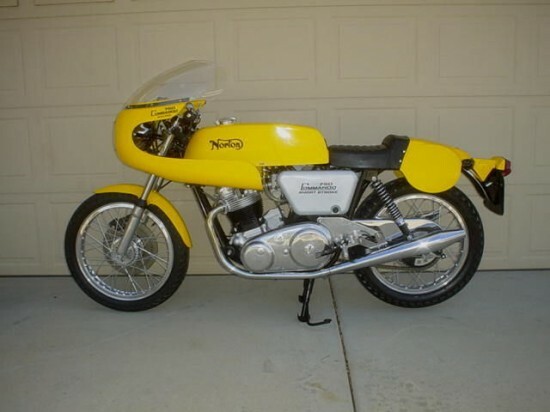 This Norton was built around a 1970 title and frame. 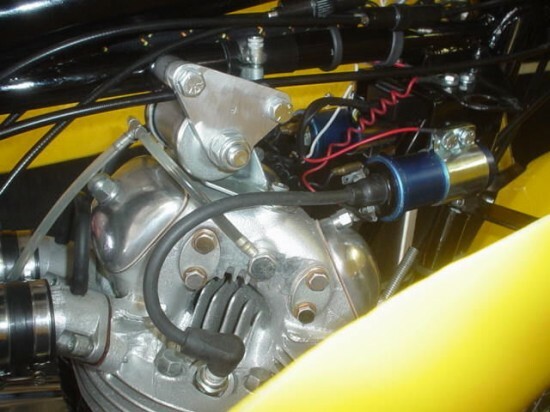 It has a brand new old stock 750 short stroke engine 80.5mm stroke 77mm bore. Has a new Quaife reinforced shell 5 speed all new bearing. New kickstart shaft. Kickstart is straight up rare original. (not a featherbed) New inner cover. R camplate. Engine has all the rare parts RH7 head with 9/32 in stem oversize valves. Nimonic ex valves. New springs, rockers and rocker spindles. Pistons by Omega, steel rods, new crank. Hi pro cam. New lifters. New bearings.. Carbs are new 34mm Mk2 with cable operated chokes, not the Mickey Mouse on/off type. All new lines and cables. New Doherty quick throttle smith drive.. Inst were rebuilt and are both spot on. New inst cables. (Norton has only gone 25 miles) no leaks.. When the British biking industry fell on hard times in the 70’s and 80’s, Norton was one of the victims and, in spite of various attempts to resuscitate them, remain in limbo. A shame, given the resurgence of the modern classics sold by Triumph, Ducati, and others. Surely, there’s room for one more? 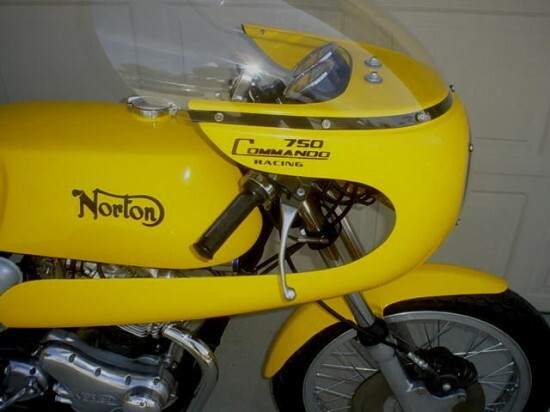 country who was a Norton dealer and race bike builder back in the 70s.